Tibet Autonomous Region lies sandwiched between mainland China to the north and east, and Nepal to the west. To the south is the Kingdom of Bhutan and the Indian states of West Bengal and Arunachal Pradesh. Lying on its high-altitude plateau, this unique region is a favorite destination for western tourists, with its high lofty mountains, stunning lakes, and awe-inspiring Buddhist monasteries. There are many ways to visit Tibet. So where to start your Tibet tour is the common query for every traveler. Here we have highlighted how to travel to Tibet. There are two ways in which to enter Tibet, either from mainland China or from Nepal. And while majority of travelers still choose to get to the Tibetan capital of Lhasa from one of the gateway cities in China, there are those that prefer to enter from Nepal. However, no matter which direction you enter Tibet from, or which method of transportation you use to get there, the main thing you will need, apart from your passport, is the infamous Tibet Travel Permit. Depending on whether you are entering China or Nepal, there are some subtle differences in how to obtain a Tibet Travel Permit. However, whichever way you intend to enter; you will not be able to make the application yourself. For those entering Tibet through China, the first thing you need to do is get a Chinese Entry Visa. The visa is not available on arrival, so you will need to make your application from an embassy in your home country or country of residence. Once you have the visa, you can then book a tour to Tibet with a registered Tibet tour operator. We will use a scanned copy of your passport to make the application for the Tibet Travel Permit on your behalf and once completed, the permit is sent to your hotel in China. If you are planning on entering the region from Nepal, the only country with international access to Tibet, then the procedure is a little different. A Chinese Entry Visa is not valid for travel from Nepal to Tibet, and you will need to first arrange the tour with us. We will use a scanned copy of your passport to make the application for the Tibet Travel Permit, which can be done without the need for a visa for those entering from Nepal. Once the permit has been approved, our agent will meet you in Kathmandu, when you arrive. You will need to be in Kathmandu at least five working days before your date of travel to Tibet, as your visa will be issued there. We will meet you and get your original passport and the completed application form, and use that and the original Tibet Travel Permit to make the application for the Chinese Group Visa on your behalf. Once the visa has been approved, which takes around three working days, we will collect it from the embassy, and deliver all the documents to you at your hotel. Still, the most popular route to get to Tibet, travel into mainland China first allows you to choose how to get to Tibet, and gives you the opportunity to tour in China before you leave for Tibet. There are two main ways to get to Tibet from China. You can take the flights from one of several airports across the country, which can deliver you to the Tibetan capital of Lhasa within hours, or you can opt for the train, which takes you from one of seven gateway cities in China to the Tibetan plateau. Flights are by far the fastest way to get to the plateau, even from such distant cities in China as Shanghai or Beijing. However, the flights are rather expensive, and there are few discounts or deals when traveling on a domestic flight in China. Taking the train may be the slower option, but it has many advantages over flying. 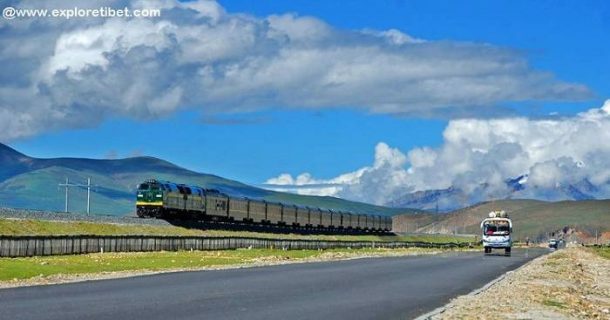 Trains leave from seven gateway cities across China to get to Lhasa, including Guangzhou, Shanghai, Beijing, Chongqing, Chengdu, Lanzhou, and Xining, and travel times range from 22 hours to 55 hours, depending on your departure city. 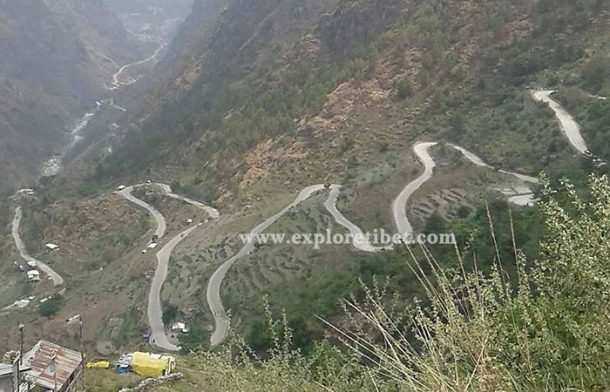 However, while the trip is a long one no matter where you start, it is also the cheapest way to get to Tibet and has the advantage of allowing you the spectacular views of the northern part of the Tibetan plateau, including the Tanggula and Kunlun Mountains, an opportunity that does not present itself when traveling by air. Once you pass Xining in Qinghai Province, you will pass the stunning Qinghai Lake, travel over the lofty Kunlun Mountains, steam over the highest railway pass in the world at Tanggula Pass, travel through the highest tunnel in the world, and cross the vast Changtang Prairie, a huge expanse of grasslands where Tibetan nomadic herders still graze their yaks on the lush green grass of the plains. Traveling from China to Tibet is also more convenient for those that want to visit Nepal as well during their time in Asia. While it is possible to start in Nepal, and then travel through Tibet, finishing in mainland China, it is much easier to do it the other way around. A tour starting in China, and heading to Tibet, finishing at the border with Nepal and continuing on to Kathmandu is much easier to organize than going from Nepal to China, via Tibet. For those traveling to Tibet from Kathmandu in Nepal, there are definite advantages to traveling in this direction, though the use of the train to get there is not yet an option. Getting to Nepal from many of the other countries in Asia is very easy, and there are flights to the capital’s Tribhuvan International Airport from more than a dozen countries in Southeast Asia, as well as from eight cities in India. Flights to Nepal are relatively cheap from within Asia, compared to flights to other places, and even for western tourists, travel to Nepal can be done easily, with plenty of connecting flights from all across the region. 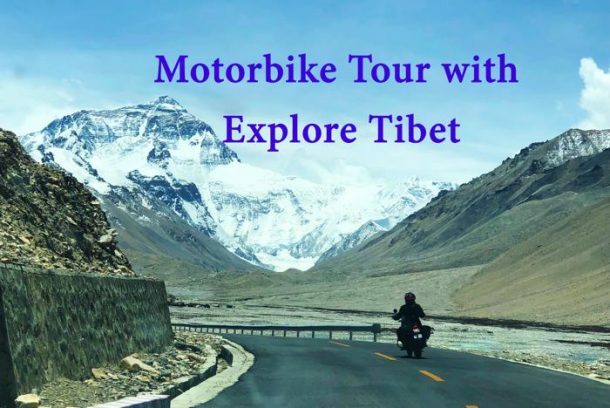 Tibet Motorbike tour with Explore Tibet from Nepal to Tibet. The main disadvantage of traveling into Tibet from Nepal is that you only have the options of traveling by flight or overland in a car. As yet, there is no train that runs from Nepal to Tibet, though the railway linking Tibet to Nepal is underway. Flights operate into Tibet from Nepal daily, and for those that do not want to fly, there is the option of traveling overland by motorbike or taking the local bus to the border from Kathmandu, and then traveling overland to Lhasa with your tour guide.